CHICAGO (WLS) -- Chicago police are investigating a suspicious backpack found in the 5100-=block of South Greenwood in Kenwood, near the Obamas' house. 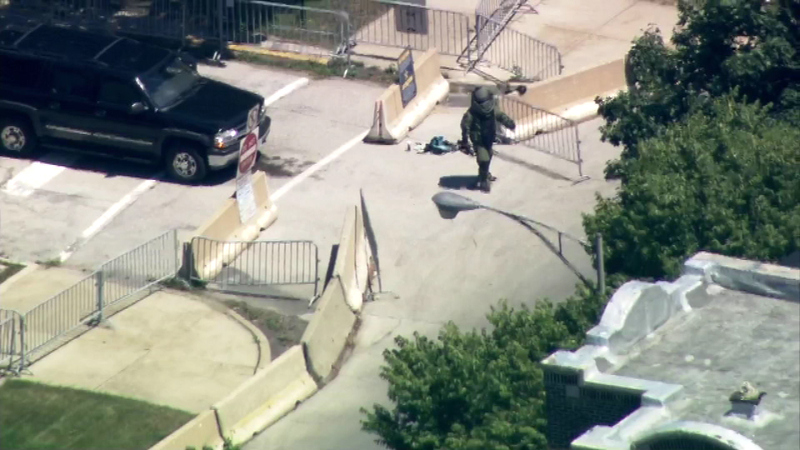 Chicago police and fire units, as well as Secret Service agents, responded to the scene along with the CPD bomb squad. Traffic around the area was blocked during the investigation. The package was cleared by the bomb squad and traffic reopened. Chicago police are handling the investigation. The Obamas are not currently in Chicago.